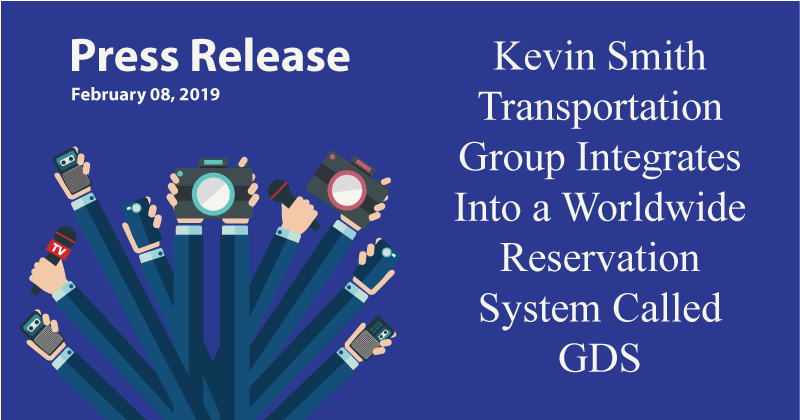 Phoenixville — February 8th, 2019 — Today, Kevin Smith Transportation Group announced completion of their first major initiative of 2019, a system-wide integration into GDS. GDS stands for “Global Distribution System”, which is a worldwide computerized reservation system leveraged by the largest bookers of travel in the world. Additional benefits include freeing up the time for our Concierge Team, who can now focus on service execution and less time on the booking itself. “Our digital profiles of each client allow for an amazing level of customization for every client”, said Kevin Smith. “As a luxury ground transportation option, each client controls their own experience, ensuring expectations are more than met every ride we provide. GDS is simply the next step in the company motto, “Service Different”. Kevin Smith Transportation Group is a luxury limousine and corporate transportation company that services the entire greater Philadelphia, PA area. While launching nearly 4 years ago, they have already positioned themselves as the preferred partner for more than 575 companies and more than 240 wedding venues. Supporting a cross-section of vertical markets including social, corporate and academic, KSTG has focused on luxury service as their differentiator and their motto, Service Different, has become the reason many clients have shifted their work to their company.